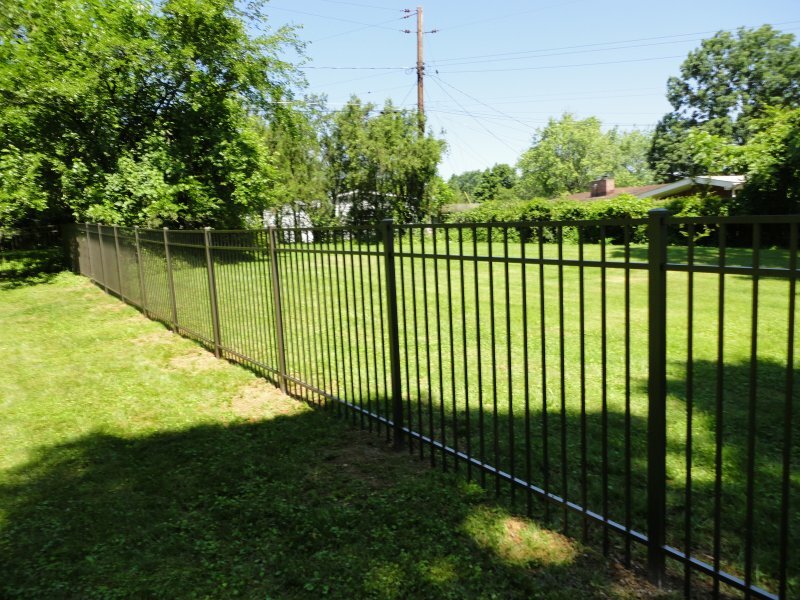 For whatever reason – whether it be for aesthetics, to keep your dog in the yard, to give your children a safe place to play, or something else – you have decided that it is finally time to fence your yard. But deciding to install a fence is just the beginning. Next you have to determine what type of fence to use. And this can be a pretty tough decision. There are several fencing options available for you to choose from. Each type of fencing has its advantages and its disadvantages. To help you make a well-informed fencing decision, we have provided a brief overview of the most popular types of fencing with links to previous posts we have written on the benefits of each type of fence. Wood Fencing: This remains the standard for aesthetics and instant curb appeal. But wood fences also have one glaring negative – maintenance. Of all the fencing options, wood fencing is the most labor intensive to maintain. So you have to ask yourself what matters more to you, aesthetics or easy maintenance. Vinyl Fencing: From labor intensive to almost maintenance free. Vinyl Fences are not subject to rotting, fading, or other effects of weather. Vinyl provides a nice, attractive, maintenance-free fencing option. Aluminum & Steel Fencing: Like vinyl fencing, aluminum and steel offer a low-maintenance option that will never require painting and will rarely need to be cleaned. These fences are durable, aesthetically appealing, and extremely reliable. Chain-Link Fencing: Chain link is one of the most economical/cost-effective fences you can choose. And if you are looking for a more aesthetically pleasing fence, chain link can be equipped with privacy slats. These slats, which come in several different colors, can turn your see-through fence into semi-solid wall, providing the same privacy as wooden or vinyl fences. Another way to customize your chain link fence, while also enhancing its functionality, is with vinyl coating. Vinyl-coated wire mesh provides even greater protection against the elements and comes in a variety of different colors. You must pick a fence that fits both your home’s existing décor and your budget. But whatever you choose, wood fencing, vinyl fencing, chain link fencing, or aluminum/steel fencing, Freedom Fence and Home is here to help! This entry was posted on Tuesday, August 6th, 2013	at 4:50 pm	. Both comments and pings are currently closed.